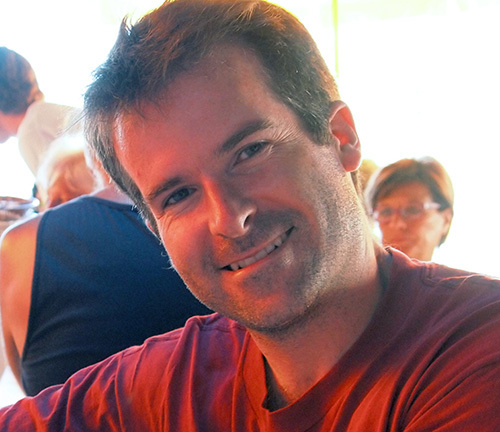 The 2015 IMA Prize in Mathematics and its Applications was awarded to Jonathan Weare, an assistant professor in the Department of Statistics and The James Franck Institute at the University of Chicago. The prize will be given at the opening of the fifth annual Abel Conference on November 2, 2015. Weare received this recognition for his innovative contributions to the theory and practice of stochastic sampling methods, in particular rare event and Markov chain Monte Carlo algorithms for accelerating molecular simulations. His mathematical insights are revolutionizing the way simulations are being done by researchers in disciplines ranging from chemistry to geophysics. Often, the most interesting feature of the system is something that it does only rarely. Prior to the University of Chicago, Weare was a Courant Instructor at New York University’s Courant Institute of Mathematical Sciences, where he credits Jonathan Goodman, Robert Kohn, and Eric Vanden-Eijnden for providing valuable mentorship. A collaboration with Goodman produced a family of Markov chain Monte Carlo (MCMC) methods called affine-invariant ensemble samplers whose performance is unaffected by affine transformations of space. These algorithms are particularly useful for sampling badly-scaled distributions because they are faster than standard MCMC methods. Their paper was later used to code a software package called emcee: The MCMC Hammer that is now widely used in astrophysics. Weare and collaborators have also studied the performance of this method by applying it to the orbital parameters of exoplanets. While his work brings new ideas to fundamental problems that are important in diverse application areas, Weare wasn’t always interested in the physical sciences, chemistry in particular. “My parents are both chemists, but I managed to avoid learning chemistry for a very long time!” he said. It wasn’t until his thesis advisor at the University of California, Berkeley, Alexandre Chorin, suggested Weare look at problems in computational chemistry. “I’m very glad he did. Among the other benefits, it has allowed me to collaborate with my father,” Weare noted. Weare will continue to work on several long-term projects in computational chemistry, climate science, and power systems engineering. The IMA Prize in Mathematics and its Applications is awarded annually to a mathematical scientist who is within 10 years of having received his or her Ph.D. degree. The award recognizes an individual who has made a transformative impact on the mathematical sciences and their applications. The prize can recognize either a single notable achievement or acknowledge a body of work. The prize consists of a certificate and a cash award of $3,000. Funding for the IMA Prize in Mathematics and its Applications is made possible by generous donations of friends of the IMA.